You guys know I love my shoes...I wish I could have a huge closet with tons of shelves filled with heels, boots, and sneakers. Oh my gosh. Dream closet! Yeah, I'm no celebrity, so the closet might have to wait, but I can still stock up on tons of shoes anyway, right? Let me tell you all about Pinkbasis. The shoes are fabulous. 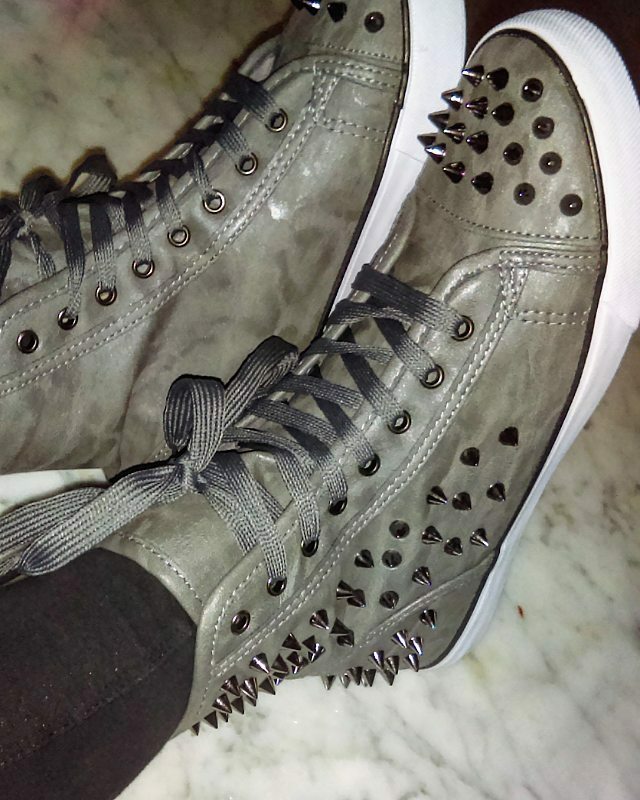 Take a look at these sneakers. Brand name is Misbehave and I can understand why. Look at those spikes! They are a bit sharp, so I'll have to make sure to be careful and not accidentally kick anything. Or anyone. I picked the color grey since I don't own any other grey sneakers. 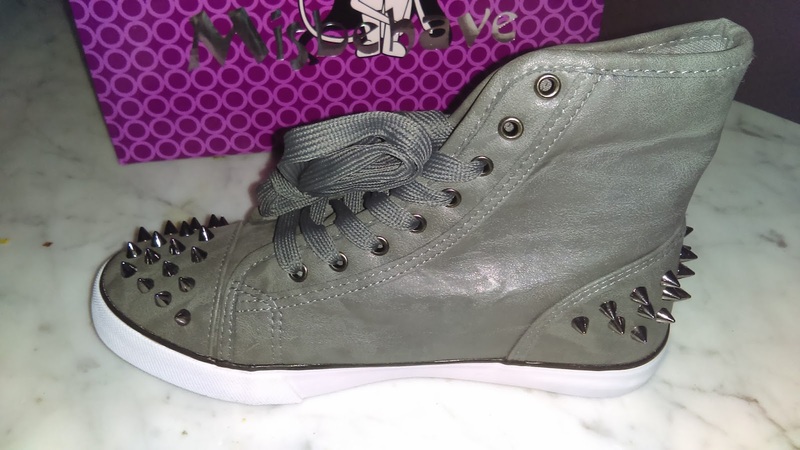 I think these are the coolest sneakers I've ever owned. They're cute. They're bold. They're mean. Ha. Gladiator sandals are totally in right now. I've seen several models and actresses wearing these in magazines and on t.v. and I have been wanting my own so badly. 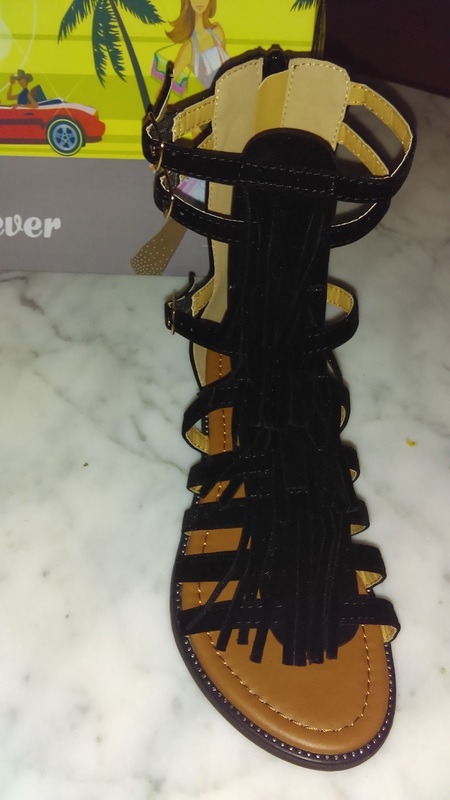 Spring is here and summer will be here soon and now I have a pair to wear with my dresses and skinnies. The brand name is Forever. Yes, they have fringe and they are faux suede!!! These are hot. I love them. 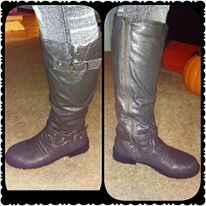 They have adjustable buckles on the side and of course, a zipper on the back for easy removal. Comfy sandals. 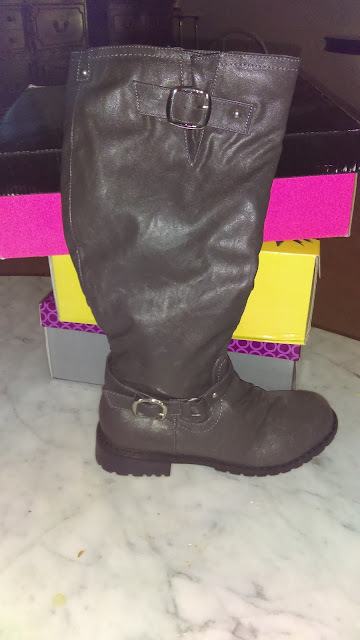 I just had to have another pair of boots. 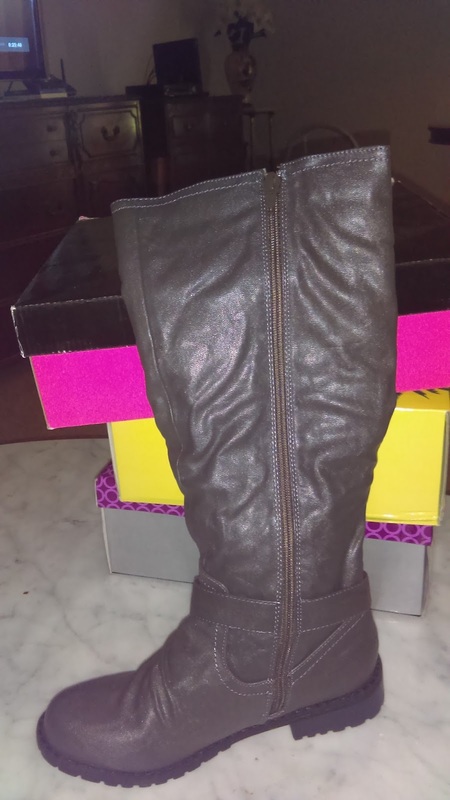 These are knee high boots and they had them available in grey. They're fit me just right. I love the look and feel of them. The buckles are nice. They do have a zippered lining on the inner side to make removing them easy. I love boots like these. I can wear them with practically anything. Yup, I'm that girl. The one who wears boots year round. Oh my gosh, right?? I know, I know...Some of you are saying, "that is too wild to wear out." But, it's something that I really like. 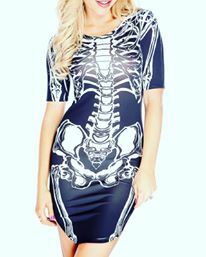 It's the Black White Skeleton Print Dress. This is a photo of how it fits on me. It is very form fitting. Very. So, yeah, the day I wear it, hopefully I won't be bloated. Just kidding. 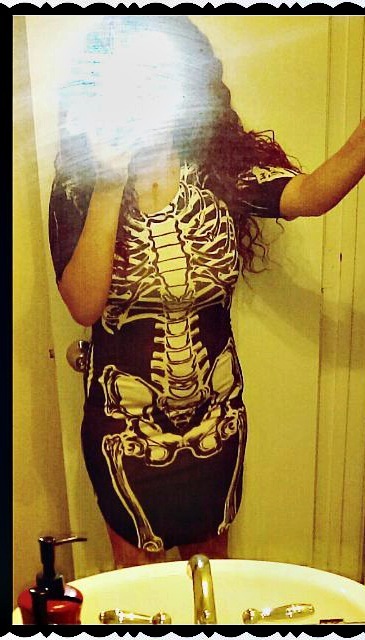 It's a fun dress to wear out to a party or club. I actually think it will be absolutely perfect for when I dress up this year for Halloween. 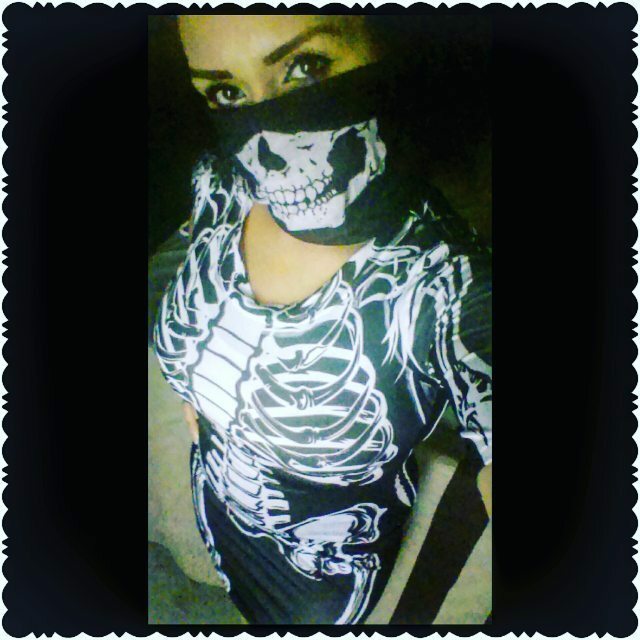 Most years I go all out and do a sugar skull makeup look, and well, this dress obviously fits the part. This dress is great. Can't wait to wear it later this year. Fishnets, boots, makeup, a wig. Ahh. So much fun. Don't forget to visit their website to see everything they have to offer. Disclaimer: I received these products in exchange for my unbiased review. All opinions are my own.